Recently, I got sucked into the Yuuki Yuuna wa Yuusha de Aru (結城友奈は勇者である) series. It’s a young franchise, launched in late 2014, so I thought it would be a good idea to keep track of the various spinoff products as they’re released. I’ll leave the analysis and impressions for another post. Anyway, if you’re planning to get into this franchise, watch the anime first. It is 12 episodes long and can be watched for free on Crunchyroll. This guide will tell you how to access the spinoff products/info in English (or Japanese, if there is no English translation available). It will also tell you what these products add to the YuYuYu universe and characters. I will edit this guide as more products and info are released. If you have any questions or corrections, feel free to leave a comment on this post. Be warned that this guide contains partial spoilers for those who have not watched the television anime. The light novel is essential reading for fans. It contains important background information for the main plot. The bonus chapter (chapter 9) also contains some important clarifications about Sonoko’s actions in the anime. 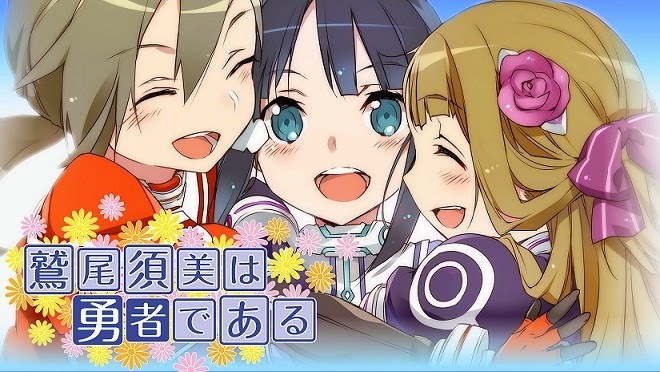 It is called Yuuki Yuuna wa Yuusha de Aru: Sonogo no Sonoko and was published on January 30th 2015. The manga is an adaptation of the light novel. So far, it has not been translated into English. You can find the Japanese Amazon page here. 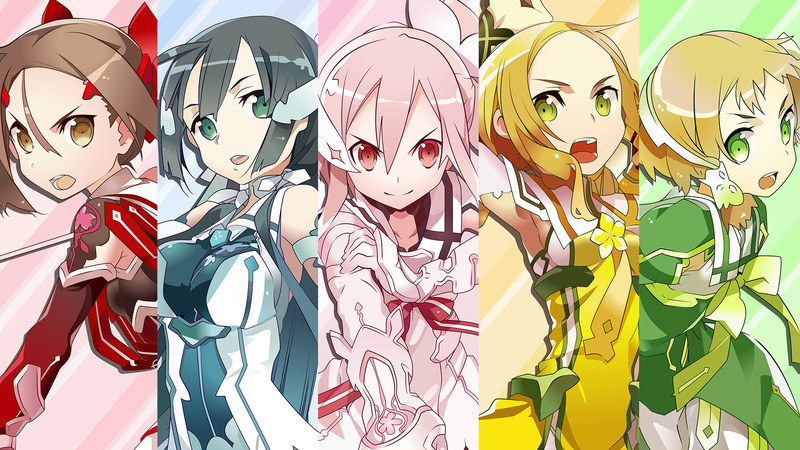 The Yuuki Yuuna wa Yuusha de Aru manga is a straightforward adaptation of the anime. 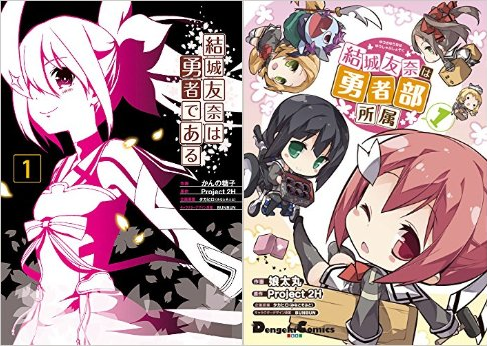 The 4koma spinoff, Yuuki Yuuna wa Yuusha-bu Shozoku, is, well, a 4koma spinoff. No plot, but lots of silly jokes and moe faces. Yuuki Yuuna wa Yuusha de Aru volume 1 [Japanese] here. Yuuki Yuuna wa Yuusha-bu Shozoku volume 1 [Japanese] here. A partial English translation of Yuuki Yuuna wa Yuusha-bu Shozoku can be read here. Original Soundtrack [Vol. 1] download here. 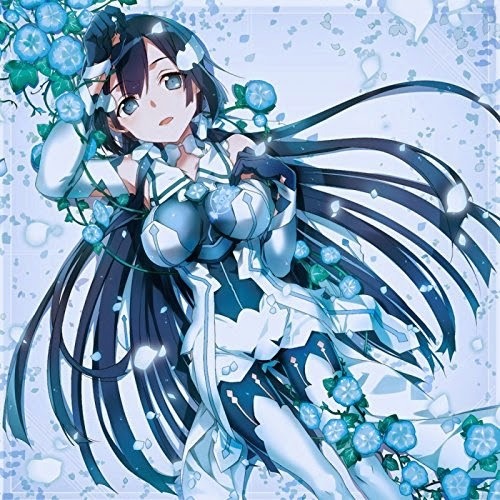 Yuki Yuna wa Yuusha de Aru Special Character Song CD download here. The tracklist for these two CDs can be read here. The first visual novel was released with the first Japanese bluray. The second visual novel will be released on May 20th 2015 with the sixth Bluray. Note that the visual novels contain some sexualised fanservice. The first visual novel has been fully patched in English. It can be downloaded from Fuwanovel here. 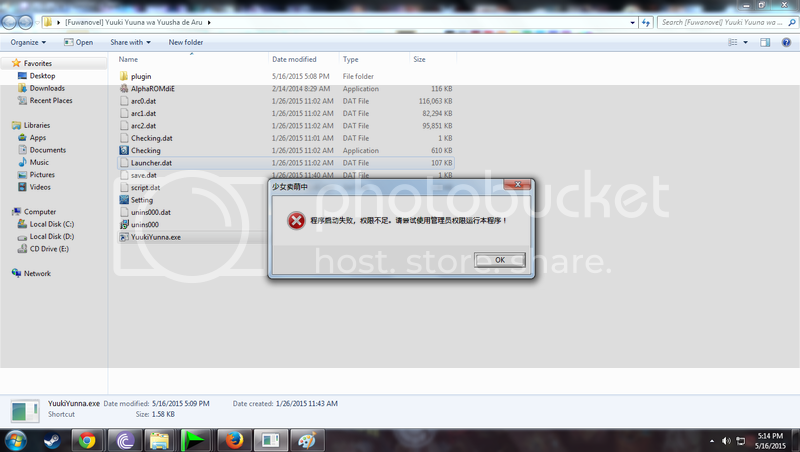 [IMPORTANT NOTE: Fuwanovel seems to have taken the prepatched download link down at the time of this writing. We will have to do this the (slightly) harder way. First, download the game in Japanese here. You will need a torrent client. 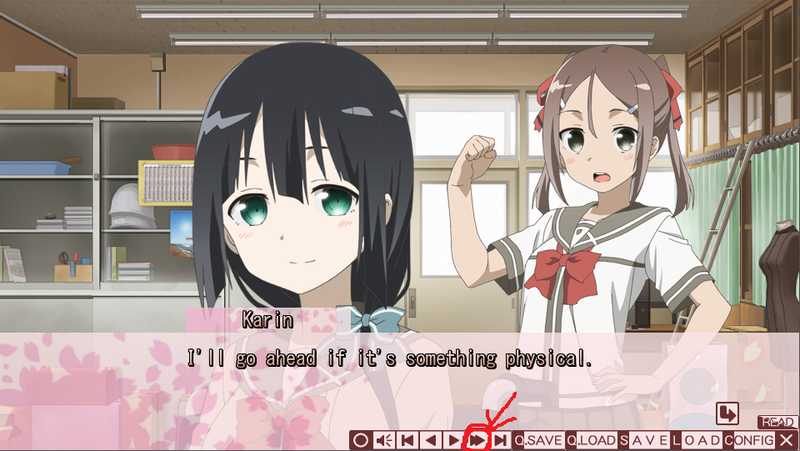 Before you play Japanese visual novels, make sure you have your CPU language setting to Japanese locale. Go to your Control Panel and click Clock, Language, and Region. Then click Change Location, where you can change the current location to Japan. Click 起動. The game should start. The menu is not translated. To get started, click the はじめから button. Play through all the scenarios to get the CGs on normal mode. On the scenario selection screen, there’s an option ON or OFF. Turn the option ON and play through all the scenarios once again to get 100% CGs. You can easily skip text you’ve already read before with the button indicated below. A fighting RPG game with visual novel-esque elements was released for the PSVita on February 26th 2015. I haven’t played it, but from what I understand, it features an all-new story involving a mysterious girl. You can buy the game through Amazon here. At the time of this writing, there is no English translation available. Special thanks to /u/ckwng for collecting and translating this info. These links are very useful for understanding background information concerning the anime’s setting and symbolism. To make navigation on the site easier, look for “Would you like to see this page in English? Click here” on the top right-hand corner of the page. The rest of the signup process works just like the English Amazon. Synchronise your Kindle device (or mobile device with the Kindle App) with your account and then press the 1click button on the right-hand side of the product page. By the way, if you’re getting stuff shipped to you, make sure you get it sent to your real address! Posted on March 3, 2015, in Editorials and tagged washio sumi wa yuusha de aru, yuuki yuuna wa yuusha de aru. Bookmark the permalink. 30 Comments. A rare sight to see Señor Frog enjoying a Girls Club anime. Then again we all know the YuYuYu franchise is far more than just a Girls Club so that would explain why this amphibian’s interest was piqued. I’m so torn on this franchise. I think it could have been so much more with just a bit more polish and consistency. I was actually angry when reading the last few pages of Washio Sumi (the story proper, not the extra chapter), since the book goes all forced-epilogue mode on the readers. It tries to fill in the blanks in a rush and presents major but questionable Taisha decisions in a “it was decided that…” fashion. Who decided? How was that decided? I mean, it is quite a feat when you manage to make an open nationalist like Mimori betray her country and people. Some Taisha official should get a prize for that. Yeah, the series is far from perfect. I think that’s one of the reasons I keep coming back for more, though. The worldbuilding stuff is fascinating, even when so much of it is skimmed over. But how could I possibly get into this franchise without someone telling me who Best Girl is!? I’m sorry, maybe I’m just dumb, but I don’t understand how to download the AlphaROMdiE.exe from that page. Can anyone help? I’m kinda having the same problem. I don’t know about anyone else, but when I looked on that page it said there was no download link available. So it looks like we’d have to find some other place to download the file, unfortunately. I want to know if the theory floating around stating that Yuna is still fighting under the new hero system is true. I listed that in the post as “chapter 9” of the Washio Sumi novel. It’s not a full novel, just a bonus chapter. I can’t confirm the theory that Yuna is still fighting. It’s left ambiguous, like many things about the story’s setting. What I can say is that the system changes so that every pure girl will be able to fight from now on, albeit with weaker powers. I’m not sure if Yuuna and the others have lost their powers permanently or if they will continue to participate in the fighting. SEQUEL BAIT AHOY. It’s better to leave it as it is, if there’s going to be any sequel, it’s just going to repeat itself over again with a different character. Unless they pull out rebellion plot. Also, it would’ve been interesting if yellow actually manage to accomplish her rebellion at one episode in the main series. Not enough despair, not enough agony, let them suffer more. Dunno about the repetition part. Yuuki Yuuna is in part a story about an inter-generational effort. The task the girls face is absolutely beyond their power, and if there is hope for them, it is in the fact that they need not be the ones who solve the problem. It is enough that they save the day for the heroes of tomorrow. And through this repeated effort, progress is made: the Nogi squad gained them a struggle without death, and the Fuu squad might have gained a struggle without the “offerings”. In this sense, the franchise easily has the potential to offer continuity without repetition. The fact that they needn’t be the ones to solve the problem is the reason for the repetitiveness, the problem is being dragged around, leaving it to another generation who fight with who knows what kind of system. There might be times where you don’t need to sacrifice anything, and there might be times where you have to or even worse, the option is stuck between those two options, the progress is somewhat become stagnant. One generation has to put an end and solve the root problem, which is how to save the world. Or they can just let the world end. Also, I’m pretty sure that Nogi squad has 1 victim (dead member). If you actually care about a clear-cut solution, this franchise might not be for you. Both Washio and Yuuki were about /stalling for time/, and neither came close to actually solving any of the fundamental issues. Nevertheless, both of them worked fine because the central focus was not the problem itself, but the individuals facing the problem and their attitudes towards the dilemmas presented. In this sense, problem-solving is entirely secondary to the execution of characters in this franchise. I seen an ad of this posted on Anime News Network. It looks interesting, but I am not sure if I will enjoy a lot. It depends. Do you like slice of life stories? Stories about friendship? Magical girls? 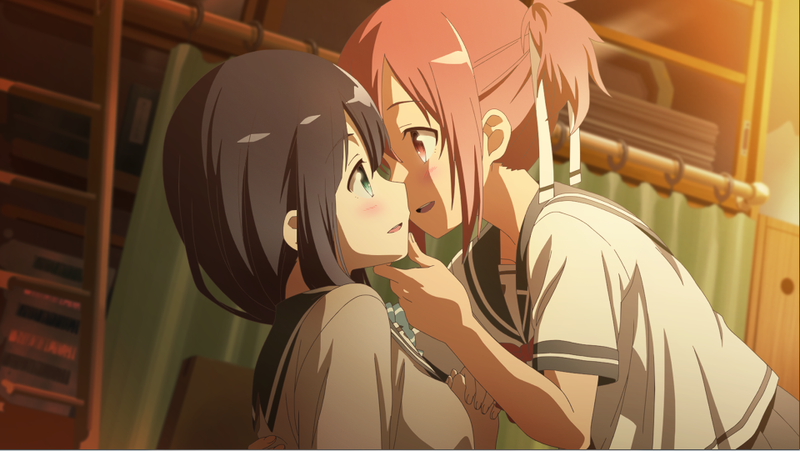 I think YuYuYu is a very conventional series, but it’s full of heart. I do like stories about slice of life and friendship. I might give it a try. It may be conventional, but it’s still the first mahou shoujo since Madoka that took the latter’s theme to heart. Thanks for the link! I’m an outsider to the Fuwanovel community, so I didn’t spend much time looking around the forums. Funny you mentioned that Tougou is a nationalist. I noticed the exact same thing and thought it was extra ironic that she was the one who betrayed her country in the end. It also strikes me that the world of YuYuYu is extremely conservative, in the sense that it prizes individual moral values over all else. The more cheerful segments of the show came across as a utopian depiction of this sort of society, rather than just moe girls doing moe things. I wouldn’t go so far to say it’s a social critique, but it did make things more interesting for me. The blatant promotion of all things Japanese over foreign influence (Udon culture!) and the ‘selfless sacrifice for the betterment of society’ demanded by old Japan… both blatantly push the audience to embrace traditional values. As a whole, the work is not pro-nationalist. Tougou is the one betrayed by her country, lied to and used only to be thrown away when convenient – possibly an allusion to WW2 Japan. Yuuna convinces her friends that blowing everything up is not the right way, not because “Taisha is right”, but “completely regardless of who is right”. If you’ve read Washio, there is a scene where Sumi (Tougou) finds it hard to admit that foreign sweets could possibly be as good as traditional Japanese ones. But even she finds it difficult to pretend that something delicious isn’t just because of the country of origin, so she ends up cracking in the end. Not something you’ll see in a nationalist novel. I’m actually happy to see an at least semi-serious portrayal of a nationalist character like Tougou/Sumi, since it means artists/audiences have enough distance to the ideas portrayed to attempt discussing them. Silence tends not to be the healthy choice in cases like this. Hello Fellow YuYuYu Fans! sorry for this, but i’m getting kind of desperate. i ca’t get the game to VN to work on my laptop. both the prepatched Fuwa version or by patching it manually. all i get is an error message and the Program crash SFX. and i already changed the location setting to Japan. i really want to plat the VN. I cant start the game.. It always said “Cannot Find sarcheck.dll”. What must I do ?? Excuse me, I feel extremely dumb but, is it necessary to seed it? My seeding apparently doesn’t work with that file and only shows an estimated amount of time of infinite. Where was this when I needed it last year lol, I still have so much of this franchise to get into dammit. Thank you so much for all of this though.